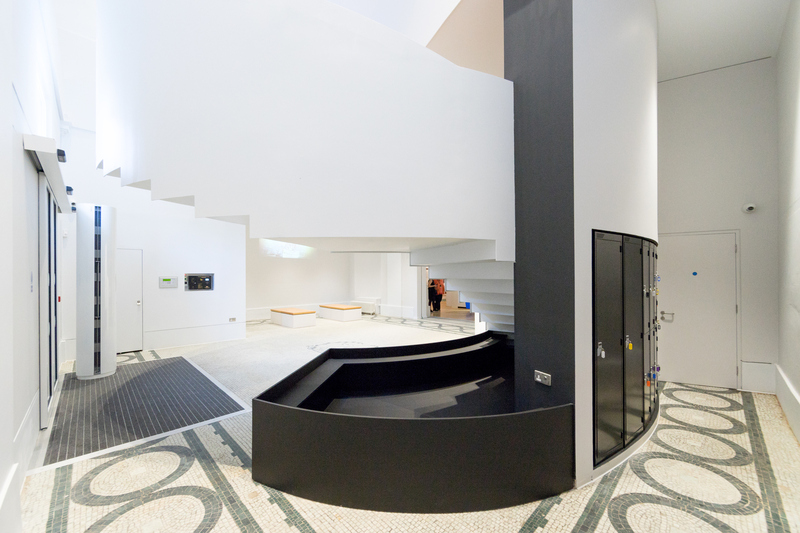 In January 2016 maber won a design competition to create a new innovative main staircase and lift for New Walk Museum and Art Gallery in Leicester. 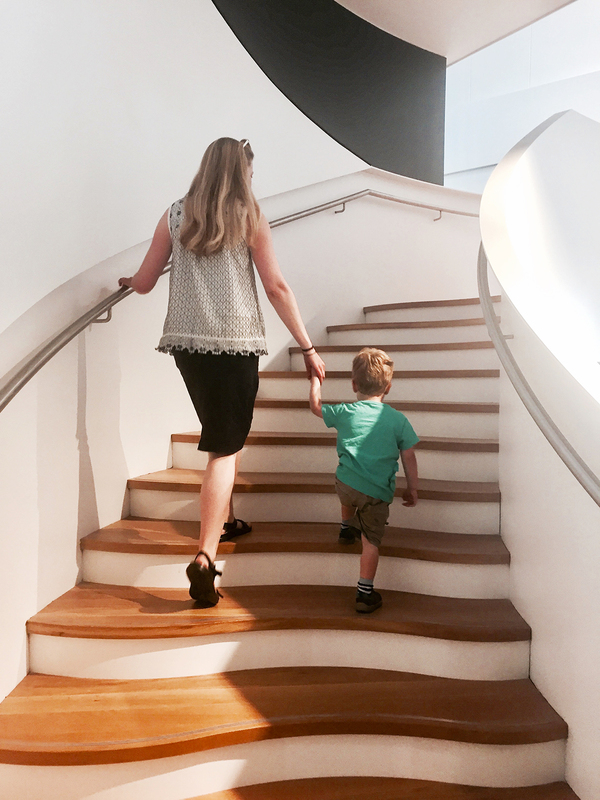 Since a radical redesign in the 1970s, where the original grand staircase was removed, the route to the first floor galleries was illegible and uninspiring. 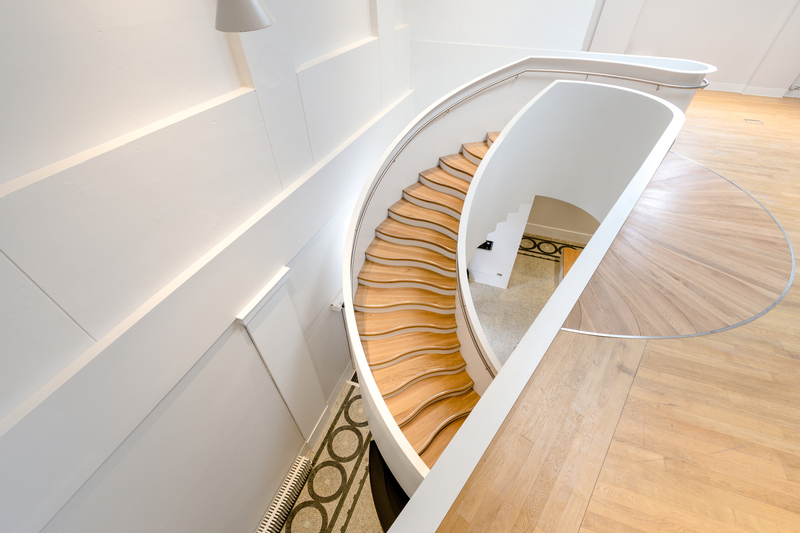 Our design re-creates the connection between the ground and first floors by opening up the floor over the entrance lobby. 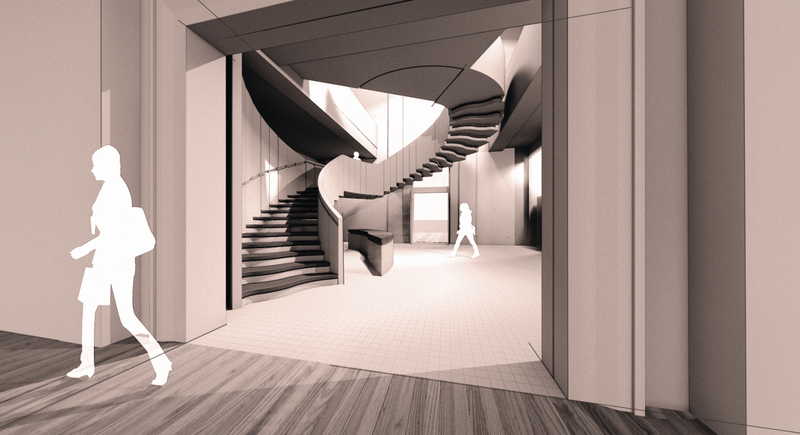 Into this new volume we have inserted a new curving staircase. 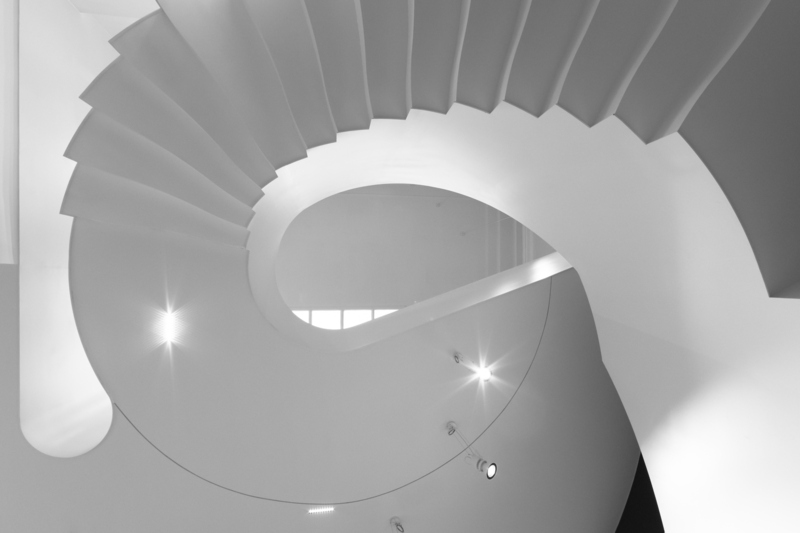 The geometry of the stair was inspired by the museum’s fossilised ammonites which display a spiralling form based on the Fibonacci sequence. 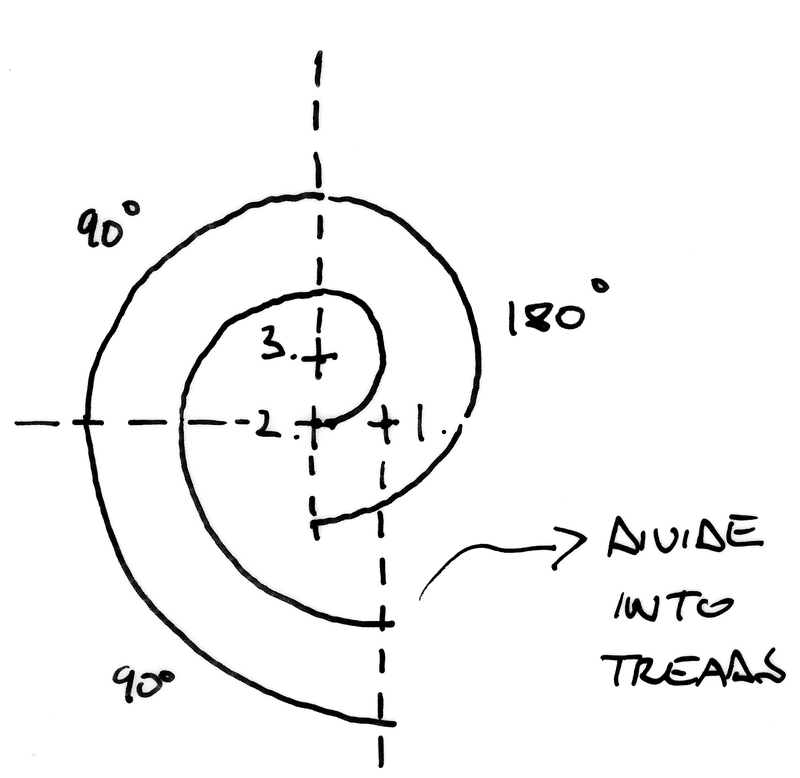 Following this geometry allowed the stair to curve its way to the first floor within the confined space. 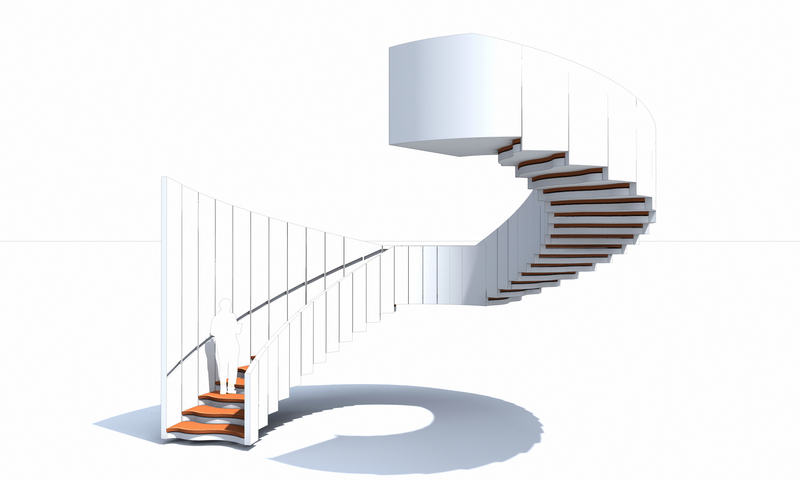 The stair is realised as a simple, crisp structure of painted metal. 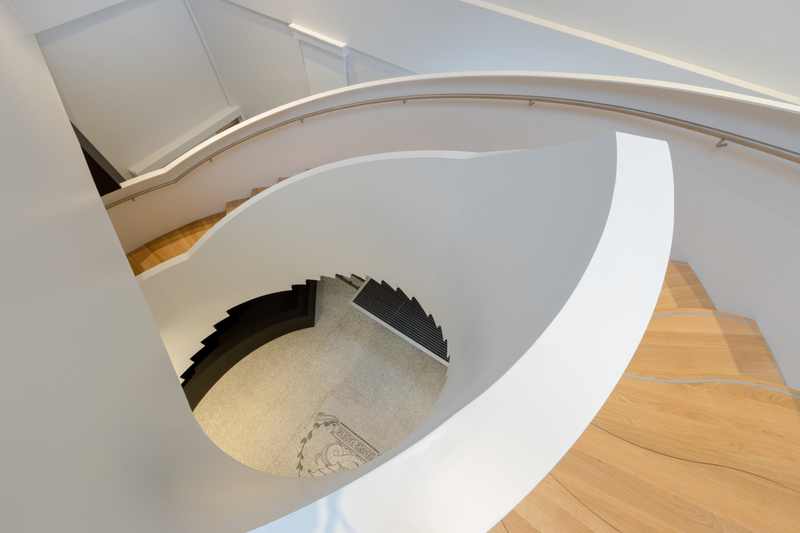 This makes the stair seem as though it has been folded out of the fabric of the museum itself. 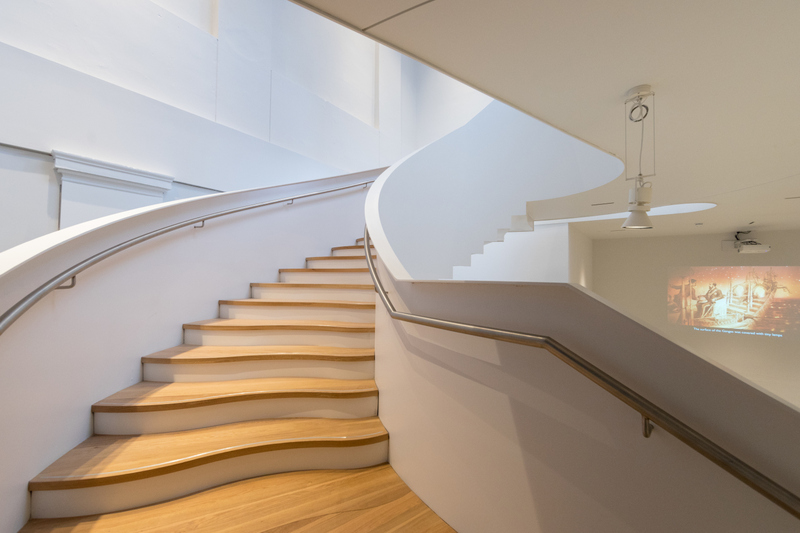 Curved american oak treads echo the ammonites’ cellular structure and provide a warm counterpoint to the white shell of the stair. 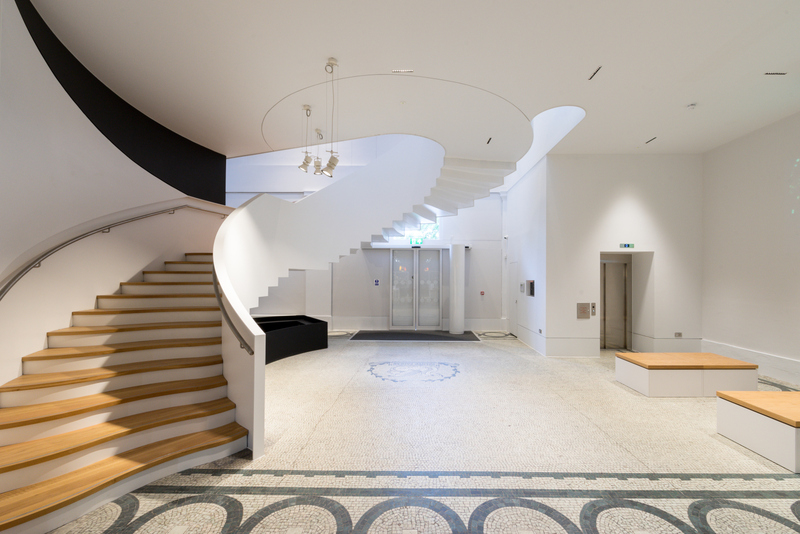 Our staircase and lift at New Walk Museum are fantastic. The staircase is really beautiful and it has been great to watch all the people come in, stand and admire it. 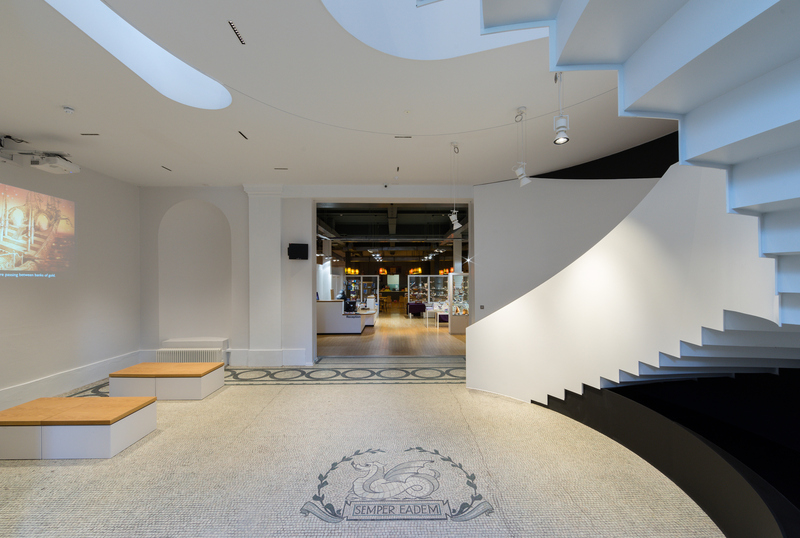 It has really opened up the area, creating a wonderfully spacious and airy feel – a fitting entrance to our wonderland!